If you’re looking to take your first step on the property ladder, you may be surprised with how your borrowing options is so huge and can be overwhelming. What you need to understand in the first place, as you’re likely to take out a mortgage to afford your home buying venture is that preparation and understanding the basics through research is key to getting the cheapest and most sensible deal. Securing your mortgage early on is also a huge factor in terms of the seller seeing you as a serious buyer, and your offer being accepted. Are your finances properly managed; and how much can you afford for a deposit? To ensure you’re getting a good mortgage deal, you need to sort out your finances and find out if your credit score is high enough to be eligible. Also, mortgage lenders look into how much you can put in for deposit. You are more likely to be get a good mortgage deal if you can afford a larger deposit – perhaps somewhere bigger than 10% of the house’s selling price. More so, credit lenders, under the Financial Conduct Authority’s mandate, are now carrying out stricter rules to verify borrowers’ eligibility for a loan. This means you may need to have been more financially responsible over the years to be deemed eligible for a mortgage. Besides the routine checks, you should also know that almost all mortgage offerings at present must be advised. This means you will have to discuss the mortgage deals and all relevant information with a mortgage broker or financial adviser before you can finalise the application. So before you start borrowing, get the paperwork relevant to your financial situation sorted. You should also remember that together with mortgage, the actual cost of buying a house can be overwhelming, too. Fees often running into the thousands and can take off a significant amount in the money you have in hand for the deposit – eventually affecting your ability to afford your desired property. As mentioned above, the biggest factor to what mortgage rate you can get is the size of your deposit. While it is generally and on the average set at 10% of the selling price, you can put in something higher than that if you can afford it. 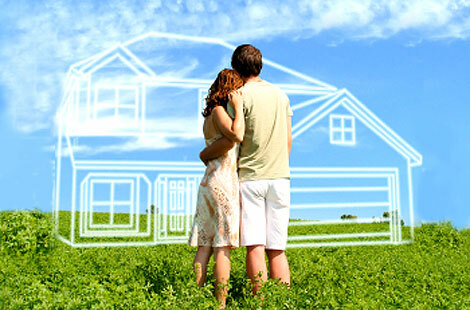 Lenders will also look at this and see if they can offer you a lower rate on the loan. What other costs do you need to prepare for? Always take note that owning a home has expenses that are not incurred when renting, so your finances have to be in control. You will need to work on a budget for the maintenance of the property and its insurance. If you’re considering taking out the insurance offered by your lender, think again. You might be paying more than what you’re supposed to. Besides these expenses, there are also upfront costs such as legal fees for your conveyancer, Stamp Duty, Land Registry fee, surveys, searches, and other processes that need to be settled throughout the buying process. So before making a final decision, it is crucial that your finances are in place and that you have enough cash to shoulder at least the upfront expenses and deposit while your mortgage covers the rest of the purchase costs.